The Queen and the Royal estate have come under attack from campaigners after advertising for cleaners at Windsor Castle 78p below the recommended livable wage. This week is Living Wage Week and comes just weeks after Labour leader Ed Miliband set out his party’s agenda for ensuring employers pay a wage that meets the cost of living. Campaigners want to see employees paid at least £7.45 per hour outside of London and £8.55 in the capital. 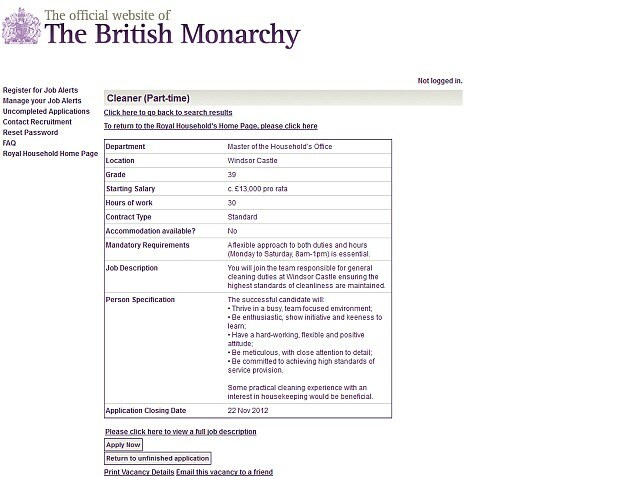 However, an advert recently published on the Buckingham Palace website is offering £6.67 per hour. The role is paid just 47p above the national minimum wage – a salary equivalent to £13,000 per year. It has been reported that no accommodation is provided with the job which includes vacuuming, mopping, dusting and general household maintenance. The role requires a 30 hour week between the hours of 8am and 1pm daily. Graham Morris MP, a Labour campaigner for the Living Wage said this advert is setting a bad example. ‘This looks really bad.’ he told the Daily Mirror. ‘Since the Queen receives considerable support from the public purse she should pay a living wage, not just barely a minimum wage. ‘She’s setting a bad example to other employers. 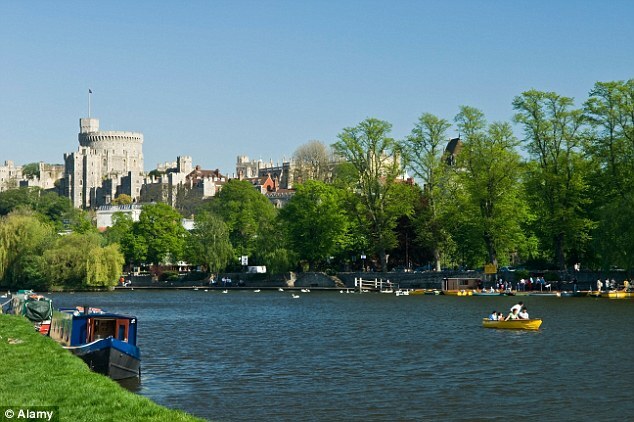 Windsor is one of the 12 most affluent boroughs in the country, so you would anticipate the cost of living would be much higher. A spokesperson for PSC Union told Mail Online: ‘It’s shocking that in this day and age these sorts of jobs are still not taken seriously and still receive this kind of wage. ‘This particular example really points up the stark and glaring inequality in the whole system. ‘You have people on very low wages cleaning the houses of one of the richest families in the country, and these house bring millions of people to Britain every year. A spokesman for Buckingham Palace refused to comment on the charge that the Queen is setting a bad example to other employers. ‘We are reviewing a our policies in regard to the living wage,’ the spokesman said. The spokesman also denied the claim that this particular job came with no accommodation.